The APOS User Migrator for SAP BI 4 is a freeware application that lets administrators migrate named users to concurrent users, or concurrent users to named users, in bulk conversion operations. This freeware is especially useful if you are changing from a named user model to a concurrent user model during your migration to SAP BusinessObjects BI 4. 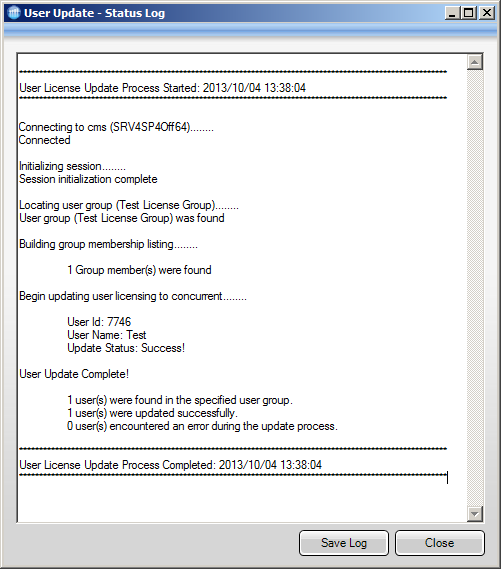 Download the APOS User Migrator. 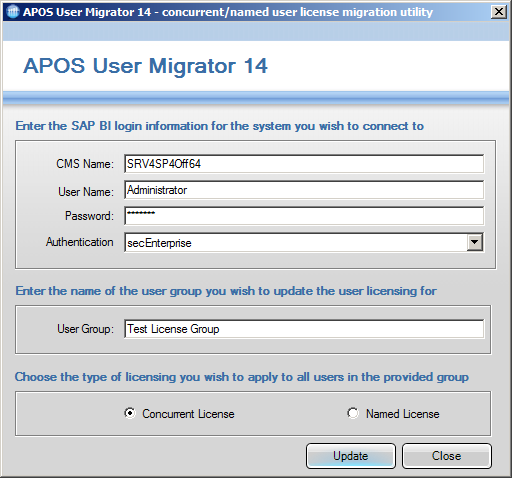 Using the APOS User Migrator, select a user group to convert, the type of user to which to convert it, then click Update. Review the process in the User Update Status Log.